Realtor referral sites are a major trap for the unwary consumer. Whether you are a buyer or seller, it would not be wise to rely on the many online sites that claim to offer you a reliable and credible Realtor referral. I’m about to tell you something few consumers know, and the implications are huge for you personally, not only financially but legally. Online Realtor referral sites do not filter and promote only Realtors who are experienced, professional, competent, and honest. Realtor referral sites have one and only one qualification: Money. Realtors who pay get promoted. The many referral sites claim to qualify Realtors or want to give you that impression, but they do not. You’ve heard the rule, “Follow the money.” Never was that more true than on these Realtor referral sites. 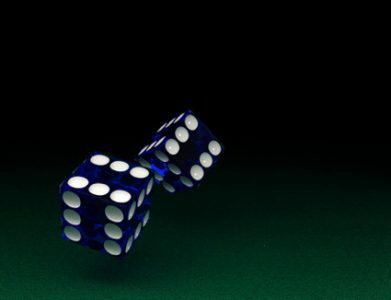 Randomly hiring a Realtor from a Realtor referral site is like tossing the dice and hoping you just get lucky and end up with a qualified and honest Realtor. There are many Realtor referral sites online, such as Zillow.com, Trulia.com, Realtor.com, Homelight.com, AgentSearch.com, Yelp.com, AgentHarvest.com, MyAgentFinder.com, TopAgentsRanked.com, UpNest.com, and there are many others. HomeAdvisor.com is a similar type of referral site for home contractors, but it suffers from the same kind of disqualifying lack of credibility–whoever pays gets promoted. It’s all about money, not experience, not professionalism, and not integrity. Do Buyers Owe a Realtor Loyalty? Loyalty is earned, not automatically deserved. This subject comes up periodically because some buyers have the mistaken notion that they owe their undivided loyalty to the first Realtor they talk to, and other buyers will use several Realtors at the same time with no sense of loyalty at all. The first approach is not wise if you want good representation, and the second is unfair to the Realtors. So where is the balance? 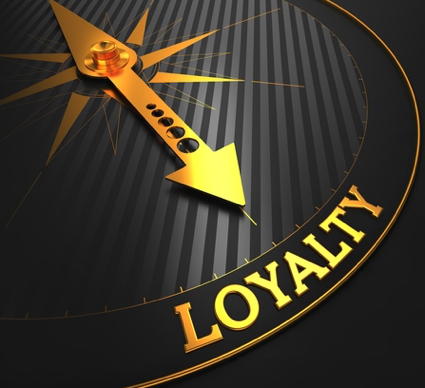 How do we define loyalty, or where is the line in the sand that defines when a buyer owes their Buyer’s Agent undivided loyalty? This article is less concerned with a Realtor’s hurt feelings than it is on focusing on what is right and reasonable and courteous, consistent with a buyer’s best interests. 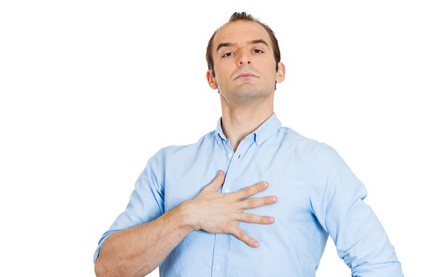 Is There a Moral Obligation to a Realtor? The question today came from a gentleman who asked whether he had a moral obligation to work with a Realtor who had emailed him and talked to him on the phone about some properties. This gentleman clearly is a man of integrity, and it’s honorable that he would have a sense of loyalty to a Realtor. Loyalty is good. Honor is good. But does a buyer (or seller) have a moral obligation to work with a Realtor when he would prefer working with another Realtor? In other words, at what point does a client have a moral obligation to work with a Realtor? How much must a Realtor do to earn that moral obligation? A moral obligation does not exist just because someone emails and talks to you, or because they do some research, or even because they show you a few homes. None of that creates a moral obligation. A true moral obligation could be created when someone saves your life, or when someone does something so big that it changes the course of your life in a positive way. In less dramatic ways that moral obligation can be created at some point in a relationship, but where is that point with a Realtor? If you have not signed a Buyer’s Agency Agreement with a Realtor, you have no contractual obligation. [Never sign a Buyer’s Agency Agreement.] That’s the law. Judges have also ruled that just talking, emailing, or driving around and looking at houses does not create a binding agency relationship. At the core of the legal analysis is whether there is a moral obligation. You do not create a moral obligation with one phone call to an agent, nor with two or even 10 phone calls. Nor does one or a dozen emails create any kind of obligation. The Realtor owes you nothing, and you owe the Realtor nothing at that point. Realtors answer hundreds of emails and phone calls throughout the year to clients all over the country, and Realtors understand that is part of the business, but it certainly creates no moral obligation for anyone. Now suppose you have talked to a Realtor for a long time and emailed many times, and the Realtor has done many favors for you during the past six months or a year, such as taking additional photos of listings with insufficient photos, previewed a number of homes for you before you could arrive in Sequim, and perhaps he has incurred some costs sending your printed information in the snail mail. What we have here is a Realtor who has demonstrated a commitment to you with his own precious time on many occasions, and with his own money. He has clearly proven that he is willing to earn your trust, and if you have come to the conclusion after many phone calls and emails that he is competent, professional, trustworthy, and looking out for your best interests above and beyond, then there is some kind of moral obligation at that point. Let’s take this a step further. Suppose a Realtor does all of that, but you learn that this Realtor is not so competent, or that she is not very professional, or perhaps you come to the conclusion that she has not been entirely upfront with you. In such a case, if you ever did have a moral obligation to her, she has effectively terminated that obligation. The first obligation on your part is to protect yourself and your spouse by making wise financial decisions, and that includes who you hire as a Realtor. So here’s a rhetorical question for you. Why would you hire any Realtor but the best one you could find after you have done your due diligence? There’s a lot at stake when you buy or sell a home–mostly your money, your liabilities, and your stress and happiness. Do not underestimate the importance of hiring the right Realtor, or avoiding hiring the wrong Realtor. What is peace of mind worth to you? Do not create an artificial moral obligation when none exists. You have the right to hire the best Realtor you can find, and that’s the truth. If the first Realtor you communicate with is not “the one,” then find and hire the best. End of story. Some kind of artificial moral obligation should not become your ball and chain. 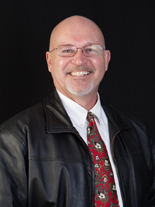 Who is the Number 1 Selling Agent in Sequim? Is your Realtor the number 1 selling agent? If you’re a buyer, you want a real estate agent who has a proven track record, but be careful about statistics. They can be misused. This article will show you what the single most important statistic is if you are hiring a buyer’s agent or a listing agent. What is the Most Important Statistic for the Number 1 Selling Agent? The single most important stat is the one that shows who sold the most homes representing buyers in your relevant price range. That person is called a “selling agent.” In other words, a selling agent is a buyer’s agent. This often confuses people. Think of it this way. An agent who represents the buyer is the one who actually sells the home. An agent who lists is a listing agent. A listing agent does not sell the home, unless he is a dual agent and also represents the buyer. So we have a listing agent (also known as a seller’s agent which is different than a selling agent), and we have a buyer’s agent, aka the selling agent. The relevant price range in Sequim for buyers who want a nice home is going to be above $200,000. You can’t buy much of a home for less than that. So if you are a buyer, you want a real estate agent who has a great track record selling the kinds of homes and the price range that you want. For example, you wouldn’t want to hire a Realtor who sells a lot of mobile homes if you want to buy a custom built $300,000 home. If you are selling a home, you also want a real estate agent who sells a lot of homes, not just one who lists a lot of homes. The difference is night and day. You want a Realtor with a fantastic marketing system [know what that means because nearly all Realtors say they have one] who actually sells homes like yours. So you might want the number 1 selling agent to list your home, because he doesn’t just list–he sells. I work hard and rarely check on the MLS statistics to grade myself against other Realtors. Statistics are relatively unimportant to me. What is important is taking care of my clients, and doing that better than anyone else. That can’t really be measured with a statistic. However, this morning I discovered for the first time that I am the number 1 selling agent of single family homes above $200,000 for all homes sold over the last seven years in Clallam County which includes Sequim and Port Angeles. That didn’t really surprise me, but it did make me laugh. This goes to show how UNIMPORTANT statistics are to me. Obviously I have not focused on being the number 1 selling agent in Sequim and Port Angeles. But sometimes when priorities are right and you don’t focus on the wrong things, you get what you did not seek. Beware of agents who tell you they are number 1, because you have to ask what statistics they are using. To prove beyond a shadow of a doubt that I am telling the truth and that I am the number 1 selling agent in this market for homes that sell above $200,000 for all sales going back to Jan 1 of 2009 through Dec 31 of 2015, I’m including this graphic from the Olympic Listing Service. What does this show me? It shows me that my virtual marketing system is the largest in the entire county and maybe the Olympic Peninsula. It shows me that my business model is working exceedingly well. It tells me I’m doing a lot of things right, and that’s encouraging. If an agent tells you he or she is the number 1 selling agent, tell them that when another agent sells one of their listings, that does not count as one of their personal sales. The most important statistic is the homes they personally sell by representing a buyer. The agent who represented the buyer is the one who actually sold the house. The listing agent only listed the house. I mention this, because listing agents are counting my sales of their listings as their own sales in their listing presentations. Isn’t that interesting? What is more important than whether an agent is ranked the number 1 selling agent? Honesty, integrity, knowledge, experience, competence, skill, and truthworthiness. So here’s a thought. If an agent is willing to misrepresent statistics, doesn’t that kind of indicate there’s a problem with honesty and integrity? So here’s what’s so ironic. I don’t really care that I am the number 1 selling agent, because there are other more important character traits and values in my business model. Being the number 1 selling agent is just confirmation that my business model is a good one. And that brings me a great deal of satisfaction. I’m passionate about being absolutely truthful about how we use statistics at iRealty. Do Realtors exaggerate here? No. We don’t need to exaggerate, and we don’t need to defend ourselves when other brokers misuse statistics or say something about us that isn’t true, but I do think truth is everything. While this issue of Realtors exaggerating with the use of statistics is relatively minor in the context of all the bigger issues in life, I think honesty and being truthful is extremely important. For myself, I never feel like I have any corner on the truth, because I am constantly learning and expect to be learning until the day I die. But one thing I do not do is misrepresent the truth or distort it or lie. The truth reigns here at this brokerage, because I think the truth is the single most important word in the world. Vanity advertising got popular in the late ’70s and the early ’80s in the real estate industry. I recall the bill board advertising, “Number one selling agent,” or “I sell more homes than anyone,” or “The #1 Top Producer.” And there would be a huge photo of the agent. Oh boy. That was vanity advertising. Most people are not impressed when someone they just met tells them how great they are. Chest pounding is better suited for gorillas, and bragioso is not a winning strategy when it comes to making friends and influencing people. Vanity advertising is not pretty. There is a time and a place for talking about where one stands within a profession, and for a Realtor that means that a client is entitled to know what a Realtor’s sales record is. When a buyer or seller asks or they want to know how big the agent’s marketing system is, it’s not vanity to tell them, unless subtle misrepresentations are part of the answer. Misusing statistics in a listing presentation is one of the biggest abuses in the profession. Statistics can be proof of a successful business model, or statistics can be misused to promote oneself. That would be vanity advertising. This real estate blog goes a long way to provide buyers with solid content and real answers to their questions. Prospective clients are under no obligation and can read our articles and use our MLS sites without registration. We have so much free information and so many free tools for buyers, it’s crazy. We give and we give and we give, and we demand nothing in return. Our approach is the opposite of vanity advertising. We seek to build trust and prove to our prospective clients that there is substance under the hood before you ever talk to us. But if you want to know more about us, we would be delighted to answer any question you have. We’re not into vanity advertising, and in the past 10 years we’ve done very little paid advertising. You could say we have a different approach to building relationships. At least one Sequim agent is having the time of his life. “I love this business, and with the incredibly powerful Internet tools that are available today for buyers absolutely free, searching for your ideal home has never been easier, and it’s never been more fun than it is today.” This is one example of Chuck Marunde’s passion to help buyers get accurate and complete information to make wise decisions. 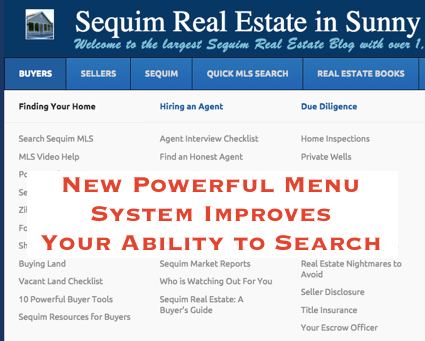 iRealty Virtual Brokers, also registered as Sequim & Port Angeles Real Estate, has more firsts than any other local broker, and here’s another–a very powerful menu system to help you search and find answers to your questions. The best way to see our new menu system is to simply go to the top menu above and drag your mouse across the menu and over the drop down menus that appear. The “Buyer’s” menu will reveal five major columns with about a dozen titles covering a variety of important buyer issues. This is the only menu of its kind, so you can see why this Sequim agent is excited to offer this extraordinary search capacity to buyers. This new menu is fun to use. As you drag your mouse across the menu items to the right, you see more drop down options, and you’ll even see a beautiful drop down of book images and even a drop down video. I won’t bore you with the complicated programming this Sequim agent had to do to make all this happen. Chuck Marunde takes great delight in making the complicated look simple, but the real key is giving buyers content-rich information on key subjects that will help them make wise decisions as they enter the best years of their lives–their retirement years. The menu system uses a very functional system of categories, posts, and pages, so many of the links will include multiple articles on the same subject. This is unquestionably the single most powerful real estate site on the entire Olympic Peninsula, and maybe even in the Northwest. Of course, you can still search for particular subjects and phrases beyond our menu system using our powerful search tool for all things Sequim real estate: Search Sequim Real Estate. “If buyers find all this information with over 1,900 articles, many books, and MLS sites useful in helping them find a home and get answers to their many questions, I hope they will consider hiring me as their Buyer’s Agent. 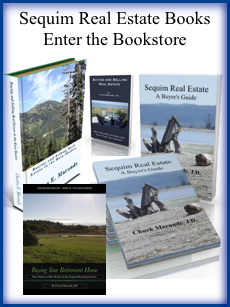 But even if they hire someone else, they can always say this was the best source of accurate and complete information on all things about Sequim real estate,” shares Chuck. Now you know what one Sequim agent has been doing. Do you have real estate questions? Questions about Sequim, Port Angeles, or Port Townsend? Questions about retiring on the Olympic Peninsula? What life is like on the Olympic Peninsula, what the cost of living is, and a hundred other questions? What if you could find one place, one source that would answer all your real estate questions with straight and honest answers? Well, you’ve found it here. With over 1,900 articles written that answer these real estate questions, this is the largest real estate blog on the Olympic Peninsula and one of the largest in the entire Northwest. You can search this blog with any of thousands of phrases or words, and all articles written with that phrase or word will pop up. Many articles include links to more information on specific topics. All articles are written by nationally recognized real estate expert Chuck Marunde, retired real estate lawyer and real estate broker, and author of ten books, mostly on real estate. In the right margin you will see links to affiliate sites with more information. There are links to the books, links to three MLS sites, links to photos sites, and much more. If you cannot find the answer to your question(s), you can email Chuck at ChuckMarunde@gmail.com, or you can schedule an appointment online with the link in the right margin. If you have subjects you would like to see covered on this blog, suggestions are very welcome. A big part of Chuck’s philosophy as a real estate broker and buyer’s agent involves giving you as a buyer the best and most accurate information you can get to make wise decisions. “I believe in giving and giving, all free and without any obligation. I also believe that eventually it comes back.” If you like to read books, you can order the books on Amazon.com. With all these resources, you are almost certainly going to get all the answers to your real estate questions. At least one Sequim Realtor is having more fun than he has ever had in his life. How can a Realtor be having so much fun in the real estate business, and in Sequim, WA no less? I’m happy to share how this is happening. The answer isn’t so much about me as much as it is about you. The most fundamental reason I’m having so much fun is because my business plan and my marketing and my customer service and every single thing I do is built around my philosophy that my clients are at the center of the Universe, and everything I do flows out of that commitment. My clients’ interests are always placed at the center. Nothing trumps my clients’ needs and wants–not my commission, not my perceived needs, not my personal preferences. So why is this Sequim Realtor so happy about that? There are some very big implications to this approach, and they make the business and life of this Sequim Realtor dramatically different (and happier) than traditional real estate sales people. No wonder this Sequim Realtor is having so much fun! Can I Make an Offer Contingent on the Sale of My Home? You can make an offer contingent on the sale of your home, but the seller may or may not accept it. Here’s how an offer contingent on the sale of your home can be structured. Standard contingencies in most offers would include things like a home inspection, financing, a septic inspection, and a well inspection. But there are two other types of contingencies. One includes an offer contingent on the sale of your current home. If your home is not currently pending, you’re asking a seller who may be thousands of miles away from you, to accept an offer that is subject to the conditions of another real estate market, another buyer, and perhaps contingencies in that offer. Some sellers in the Sequim, Port Angeles, or Port Townsend areas may not feel that is a strong offer. On the other hand, the standard addendum with this kind of contingency includes a “bump clause,” which means the seller can accept your offer and keep his house for sale in case a better offer comes along. If a better offer comes along, you have the right to waive your contingency and proceed to closing, essentially matching the other offer. If your home hasn’t sold and you can’t cash out your Sequim seller, then you are bumped, and your transaction is terminated. Buying a home is a massive undertaking, and if you’ve read some of my earlier articles about doing your due diligence as a buyer, you have a good checklist of major items to review. Things like the home inspection, the septic inspection, the well inspection, irrigation systems, traffic noise, driveway easements, view easements, the quality of construction, architectural obsolescence, kitchen designs, appliances, and much more. But there are also a number of lesser known considerations when buying a home. I like to say that something is a minor issue until it becomes a major issue. These are things a buyer and their buyer’s agent could easily overlook, but after buying a home, they could be major headaches for you. When you’re looking at homes, I recommend doing something most buyers do not do. It is quite normal to walk through a home looking at the floor plan, the quality of construction, the views from the windows, the appliances, and so on. That’s all good, but there are a few simple steps you can take that can save you from a nightmare scenario. For example, it only takes a minute to fill a glass of water in the kitchen and taste the water. Many buyers miss this important step. Sequim is very fortunate that nearly all our wells have very pure delicious water, but there are some pockets where mineral levels (magnesium, iron, sulfur) can be high. High in minerals does not mean the water is unsafe. The health concern is not minerals–it is bacteria and nitrates. Tasting the water is a good simple test, but you can do more. Smell the water, like you might if you were sampling wine. 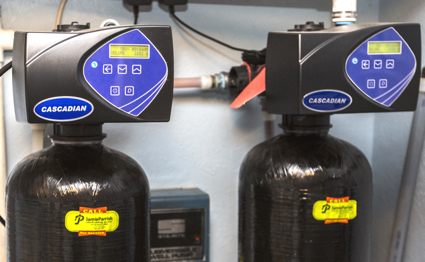 If there is a sulfur smell, look for a water filtering system. And there’s another important step. Tap water may smell pure and taste good, but if there is a filtering system for minerals, that just tells you the system is working properly. The next step is to go into the master bathroom and turn on the shower, and turn on the hot water. The smell of high mineral content, particularly a sulfur smell, may not be noticeable in the kitchen, but hot water that is atomized into the air has a way of accentuating any sulfur scent. This is a trick few people would think of when buying a home. If the well is deep, and there is plenty of water, and if mineral content is high, a good filtering system usually solves the issue entirely, and you can live happily ever after. But a good mineral filtering system can cost $4,500. By the way, here’s a nuance worth knowing. Mineral content can increase and decrease at different times of the year. In the rainy season, mineral content usually decreases. Another question worth asking when you’re in the process of buying a home is, “Is this property in or near a final approach to an airport?” You may not hear any planes overhead when you’re looking at a home, but after you move in, will planes be flying over regularly? And if so, how often? It is worth observing where the current owner’s cable or satellite TV is located, where their Internet connection is located, and whether there are connections in other rooms where you might locate those services. Find out about their Internet service. Is it fast or exceedingly slow? Also, check the bars on your cell phone. Will this location have good cell phone service, or none at all. That could be a crisis. While these are all minor issues, they could quickly become major issues, and you don’t need that. You don’t have to know everything when buying a home, but if you don’t, your buyer’s agent should if he or she is going to protect you. Clearly, the importance of doing your due diligence when buying a home cannot be understated. Real estate brokers around the United States seem to be missing the point, at least from a client perspective. If you read the regular stream of articles published about how real estate brokers must change, and about the so-called “new brokerage models” that are supposed to give consumers better service or more choice, you’ll notice (if you have the discernment to see what is behind the curtains) that the emphasis is always on money, not the consumer’s best and ultimate interests. This subject may be a bit deep for most people just searching for a home online, but not for my readers. My readers are smart and sophisticated, and they like to know how things really work. If you read this blog, you know my personal passion is summed up in a little word called “truth”. Unfortunately in the real estate industry, many real estate brokers don’t understand how their own business model or corporate culture can play against consumers like you. As a result, they miss the entire point–serving your best interests, all the while claiming (and sincerely believing) they do put you first. It’s not necessarily the fault of real estate brokers you and I know–good people. They don’t always understand, because few of them have a background in business development, marketing and sales, real estate law, and customer service. They fall into the trap of believing the talking points of their brokerage. As a result, they miss the most important focus of all–how to best serve YOU as the client. Redfin is a example of good intentions gone awry. Redfin was created because real estate brokers thought by reducing real estate commissions to 1.5% on the listing side and 3% on the selling side (total 4.5%), and by offering buyers an additional refund of part of the commission, and by paying their agents salaries, they could give consumers like you something you really want. “If you get, give: if you learn, teach,” is a quote from Dr. Maya Angelou who was a remarkable woman, an author and a civil rights leader. She died last year at the age of 86. Why do I quote her on this real estate blog? Because her philosophy and the way she lived her life echoes my beliefs about how I work with real estate clients, and how I live. Dr. Angelou also wrote, “My mission in life is not merely to survive, but to thrive; and to do so with some passion, some compassion, some humor, and some style.” This statement describes how I live every day. I may be lacking in humor, but I am passionate and compassionate, and I hope along the way I have a little style. I recently helped a buyer purchase the home in this photo. 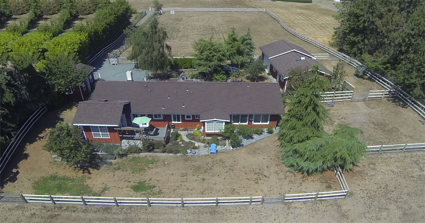 This 3 bedroom, 2 bath single level home is about 5 miles outside of Sequim on a little over 2.5 acres, all fenced and with a couple of outbuildings, including two beautiful horse stalls. The back deck faces south, and what a peaceful spot to enjoy a cup of gourmet coffee and the Sequim sunshine. There’s an irrigation system for outside watering and a pond on one end. At $385,000, this buyer is not just pleased–he’s giddy. This is what I do. I teach buyers how to buy and guide them through the entire process. I’m a buyer’s agent. Another favorite Dr. Angelou quote is, “Courage is the most important of all virtues, because without courage, you cannot practice any of the other virtues consistently.” When I first read this quote, it really hit home for me. A person might work hard regularly, and might be honest most all the time, and generous at times, but it takes courage to practice these virtues consistently. I find that my own daily practice takes all my emotional energy, because I pour myself into my client’s best interests, and that often means working from morning ’till night, and often seven days a week. But I love what I do, mostly because it helps improve the quality of my clients’ lives, and that is why I teach and guide buyers. It is my gift and my pleasure. A couple from Silicon Valley recently traveled to the northwest to consider Sequim and view some homes with a Realtor. I had a delightful time visiting with them and answering their questions about living in the Sequim area, the recreational activities, volunteer opportunities, the true size of the Sequim Blue Hole, and many other lifestyle questions. We also looked at some beautiful homes. Like many buyers, they had done their research online long before they came, and they chose me as their Realtor and Buyer’s Agent. But I’m a different kind of Realtor, and I thought today would be a good time to explain why I see myself as a non-traditional Realtor. While this is certainly a shameless self promotion, what I have to share is genuinely true and unique. The Silicon Valley couple loved one home we looked more than the others, but they weren’t ready to make an offer. In fact, they went back home and decided they weren’t ready to buy a home in Sequim. We debriefed on the phone afterward. They shared that they had a wonderful time in Sequim and enjoyed their time with me, but they felt guilty, because they thought they wasted my time. My response to them might surprise you. The time I spent with them fulfilled my mission. In other words, the time I spent with this wonderful couple was not wasted, because my focus is serving others, and in this case serving this couple meant answering questions, showing them around Sequim and viewing some homes. Whether their decision was to buy or not to buy, I was fulfilling my mission, which is serving their needs. By serving their needs, I am serving mine. Why is this dramatically different for a Realtor? Because for the average Realtor the goal line is closing the sale. It is earning the commission, which will only happen if the buyers sign an offer, and a sales person will want to get that done asap. Time is money, right? The problem with that kind of personal mission is that it often drives a Realtor to be a high pressure sales person, or to push their buyer into a home to earn a commission. That might lead to compromising the negotiations, and maybe even pressuring a buyer to pay more for a home than they have to. It could mean not paying attention to important details that could hurt a buyer later, such as not doing the due diligence the buyers need done. As a Realtor, my personal focus is always to place my client’s best interests at the center of the Universe. My commission is not a consideration. I cannot tell you how many hundreds of buyers have loved this kind of focus. They tell me they find it refreshing. So when I told my Silicon Valley clients that our time was well spent and a success, even though they are not going to buy a home in Sequim, they were a little surprised but very appreciative. My time with clients is never wasted, regardless of the outcome, because my mission is to spend quality time with each client, and ultimately to help my clients make wise decisions for the next exciting phase in their lives, whatever those decisions might be. Don’t get me wrong, the Realtor you hire should have a good resume (the real estate knowledge, experience, competence, professionalism), and he or she should have integrity [See Chuck Marunde Resume]. 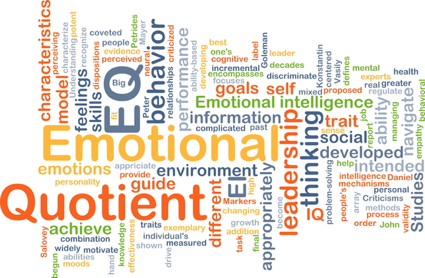 Of course buyers want those qualities in their Realtor, but I also think character matters. Whether you hire me as your buyer’s agent or another Realtor, I strongly encourage you to choose a Realtor who genuinely puts your interests at the center of the Universe above his or her own commission. Is a building permit important? What if the home you want to buy does not have a building permit? 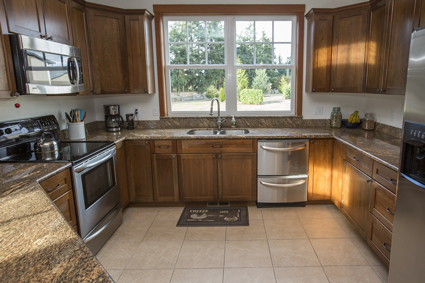 A couple arrived in Sequim to buy a home, and they found the perfect home and property in a peaceful location. They were so excited. Their buyer’s agent told them it did not have a building permit, but she told them it would be easy to get a building permit after they purchased it. All they had to do was fill out the application, staple a notice on a tree, and pay a small fee, and Voila! the Clallam County Building Department would issue a building permit. This is what I call a trap for the unwary buyer. Perhaps this article should be entitled The Building Permit Nightmare. You might want to know how someone could buy a home and get a loan when the home doesn’t have a building permit, which means it also has no occupancy permit. Appraisers don’t automatically check a building permit file at the local county office. Apparently they are not required to by law or by the appraiser’s code. That’s not a surprise, because they are also not required to do a septic inspection, or a home inspection. The appraiser’s job is to see to it that the home is structurally sound, and so they do a visual inspection. If they see something that is a red flag, they investigate further. The appraiser’s employer is not the buyer, although the buyer pays his fee. His employer is the lender, and his primary job is to make sure the lender’s loan is secured sufficiently. So the appraiser is looking at the building integrity and the value. Based on the appraisal report, if the lender feels their loan to value ratio is good, and the house is structurally sound without serious issues, the appraiser has done his job, the loan is approved, and the buyer closes on the purchase. This means some appraisers may feel it is necessary to actually check the county building department’s permit file, and some will not. If the builder of a home never obtained a building permit, and the appraiser does not check the file, the issue never comes before the loan underwriter. A buyer could buy a home, obtain a loan, and close and never know their new home is not permitted . . . until they decide to sell it someday. And here’s where the nightmare begins. If the new buyer’s lender’s appraiser checks and finds out the house was never permitted, the new buyer’s lender’s underwriter could refuse to fund the loan. This means the homeowner can’t sell his home. Now the seller is in a nightmare scenario! So what is the lesson here for buyers? There are two, and both are extremely important. Lesson number one is make sure that the home you want to buy has a building permit. 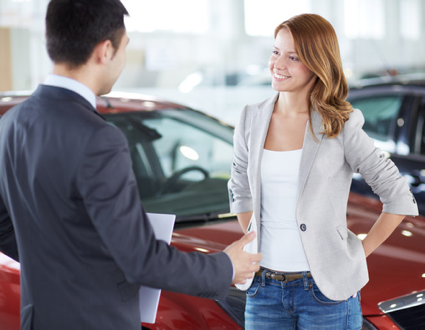 You can certainly buy one without a permit if you have cash, but the issue may come back to haunt you when you sell. Lesson number two is simple but no less important. Hire a real estate agent who is educated, experienced, competent, professional and honest. Buyer beware comes from a latin phrase (“caveat emptor”) that has been a rule for hundreds of years. The phrase is actually part of a longer statement: “Caveat emptor, quia ignorare non debuit quod jus alienum emit,” which is translated as “Let a purchaser beware, for he ought not to be ignorant of the nature of the property which he is buying from another party.” The phrase is still relevant today. As a buyer, you are responsible for your own decisions, including your offer on a property, the price, the due diligence, and even the real estate agent you hire to represent you. Even with all the consumer protections in the law, the reality is the clause “Buyer Beware” is still relevant today. I appreciate loyalty as much as the next guy, but no one deserves your unconditional loyalty just because. This is a major life decision for you, and it is perhaps the largest investment you will make for the rest of your life. Buyer beware. Seriously, forget about hurting someone’s feelings if they haven’t earned your loyalty. There’s a lot more at stake here. This is your money–a lot of it–and your decisions will affect you the rest of your life. Don’t you owe it to yourself and your spouse to find the most knowledgeable, experienced, professional, competent, and honest real estate agent? Of course you do. Remember, this is about you, not any real estate agent or their feelings. In fact, this is totally about you and your best interests. 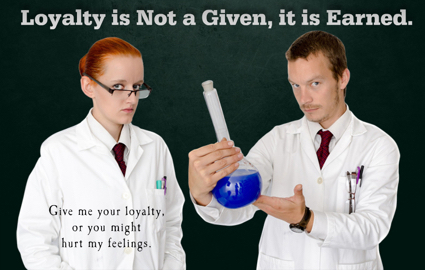 Loyalty is not a given–like trust, it needs to be earned. Who is the Number 1 Selling Broker in Sequim? Who is the Number 1 Selling Broker in the Sequim area, including all of Clallam County? Congratulations are in order to Chuck Marunde, who is the number 1 selling broker of single family homes by volume going back to January 1 of 2013 through the first six months of 2015 thus far. This means Chuck is the number 1 buyer’s agent in Sequim. It is interesting that Chuck’s average selling price is $347,181 compared to the number 2 broker whose average selling price is $205,243. What is the significance of this? If you’re a buyer who is looking for a mobile home or an inexpensive home, perhaps under $200,000, then the number 2 broker may have more experience in that market niche. Chuck admits that. But if you’re looking for a beautiful Sequim home from $250,000 and up, then Chuck Marunde is the broker retirees are hiring after they do their online research. And if you are a homeowner in Sequim wanting to sell your home, wouldn’t you want to list your home with a broker who sells homes like yours in your price range? Of course. You would logically want to list with a broker who reaches more qualified buyers than anyone else, and sells more homes like yours. By the way, many of the other brokers with good sales volumes are actually “teams” of brokers, which makes Chuck’s success even more impressive. That’s how Chuck Marunde became the number 1 selling broker in the entire Sequim area. Hard work, content rich resources online, and the experience clients are looking for in a trustworthy broker. Chuck was hesitant to have this story shared on the Internet, but if the story isn’t told, how will you know? There is a huge difference between someone who just advertises like crazy and captures a lot of clients who don’t do any research, and someone like Chuck who does almost no advertising and yet hundreds of clients seek him out after careful research. There’s value in discovering what hundreds and thousands of other buyers like you have concluded after researching agents. More than ever, retirees want to know with confidence that their buyer’s agent will help them make the best decisions for them, and perhaps just as important, retirees want to avoid bad decisions at this phase in their lives. Update 2/15/2016: It gets better. 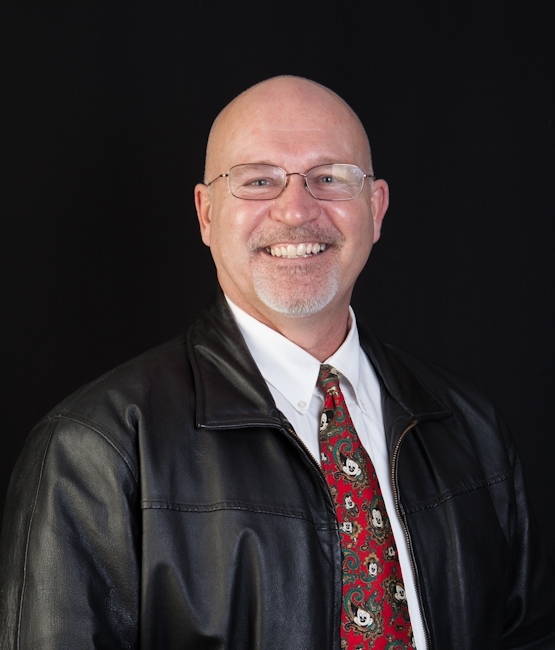 See this article showing the most recent statistics that show Chuck Marunde is the Number 1 Selling broker for all Clallam County homes sold over $200,000 for the past 7 years: Number 1 Selling Agent. Now you know who the number 1 selling broker is in Sequim. How Does a Buyer’s Agent Work? What does a Buyer’s Agent do? Here are some practical tips on what a buyer’s agent does and what you should expect. Remember, one of the single most important decisions you will make is who you hire to help you find a home, negotiate the price and terms, and help you through the process of doing your due diligence. It would be my privilege to represent you, and I don’t ask my buyers to sign a buyer’s agency agreement. I believe trust is earned, and it is earned over time, so I want you to have the freedom to chose me as your buyer’s agent, and then as we work together, I want you to have the confidence that you’ve chosen right. That doesn’t come from a written agreement locking you into a relationship. It comes from me proving I am worthy of serving you as your buyer’s agent. The problem for a buyer if they sign a written buyer’s agency agreement before they’ve actually had an opportunity to work with an agent is that they may find out their buyer’s agent is incompetent or just not someone they want to work with, but a written agreement locks them into that relationship, or requires that they pay them a commission even if they chose to hire another buyer’s agent. The last thing you need when you are buying your dream home is a nightmare in relationships. The Internet gives you tremendous power to do your research on buyer’s agents and any Realtor today. Take advantage of the Internet and it’s search capacity. Buyers have never had it so good in this regard. There is a difference between an exclusive buyer’s agent and a buyer’s agent. The former only represents buyers and never represents sellers. The reality is that if a listing agent has a buyer contact them directly, they will act as both a seller’s agent and a buyer’s agent. A buyer’s agent who primarily markets to buyers may have a local client say, “You have such a massive marketing system on the Internet, and you sell so many homes, I would like you to list my home. You reach more buyers than the traditional listing agents.” In such a case that buyer’s agent may become a listing agent for that one home. Nothing wrong with that. I hope you’ll consider hiring me as your buyer’s agent. Check out some of the over 1,800 articles on this blog, the affiliate sites, the many books I’ve written specifically for buyers, and all the other tools, including 3 MLS sites and mobile search tools I’ve put out there absolutely free for buyers like you. I know this is a shameless plug, but if I don’t tell you about all these resources, how will you know? And if you don’t know, would you even consider hiring me as your buyer’s agent?